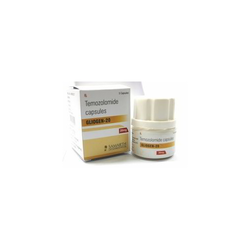 Offering you a complete choice of products which include attentrol 18 capsules, cyendiv capsule, gliogen capsules, temozolomide, dulane capsule, amoxycillin capsule and ganciclovir capsules. Attentrol 18 Capsule is used in the treatment of attention deficit hyperactivity disorder (ADHD). Take this medicine in the dose and duration as advised by your doctor. Swallow it as a whole. Do not chew, crush or break it. Attentrol 18 Capsule may be taken with or without food, but it is better to take it at a fixed time. Attentrol 18 Capsule modulates the activity of certain chemical messengers in the brain, which increases attention and decreases restlessness. It is a non-stimulant medicine. 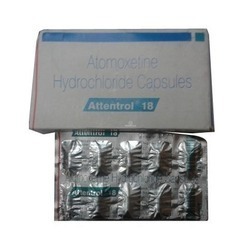 Alcohol Caution Attentrol 18 Capsule may cause excessive drowsiness and calmness with alcohol. Pregnancy weighs risks vs benefits Attentrol 18 Capsule may be unsafe to use during pregnancy. Animal studies have shown adverse effects on the fetus, however, there are limited human studies. The benefits from use in pregnant women may be acceptable despite the risk. Please consult your doctor. Lactation Caution Attentrol 18 Capsule is probably unsafe to use during lactation. Limited human data suggest that the drug could represent a significant risk to the baby. Driving Attentrol 18 Capsule may make you feel dizzy, sleepy, tired, or decrease alertness. If this happens, do not drive. Kidney Safe Attentrol 18 Capsule is safe to use in patients with kidney disease. No dose adjustment of Attentrol 18 Capsule is recommended. 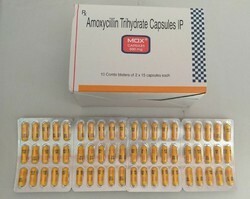 Liver Caution Attentrol 18 Capsule should be used with caution in patients with liver disease. Dose adjustment of Attentrol 18 Capsule may be needed. Please consult your doctor. Nintedanib is used in the treatment of idiopathic pulmonary fibrosis and non-small cell lung cancer. Nintedanib is an anti-cancer medication. It works by blocking the action of the abnormal protein that signals cancer cells to multiply. This helps to stop or slow the spread of cancer cells. Common side effects of nintedanibNausea, Abdominal pain, Abnormal liver function test. Gliogen 250 mg Tablet is used in the treatment of brain tumor. Take this medicine in the dose and duration as advised by your doctor. Swallow it as a whole. Do not chew, crush or break it. Gliogen 250 mg Tablet is to be taken empty stomach. Gliogen 250 mg Tablet is an anti-cancer medication. It enters the brain tissues and works by damaging the genetic material (DNA and RNA) of the cancer cells. This stops their growth and multiplication. Pregnancy weigh risks vs benefits Gliogen 250 mg Tablet is unsafe to use during pregnancy. Lactation Unsafe Gliogen 250 mg Tablet is unsafe to use during lactation. Data suggests that the drug may cause toxicity to the baby, or the mother is suffering from a condition in which breastfeeding is not advisable. Driving Gliogen 250 mg Tablet may make you feel dizzy, sleepy, tired, or decrease alertness. If this happens, do not drive. KidneyGliogen 250 mg Tablet is probably safe to use in patients with kidney disease. Limited data available suggests that dose adjustment of Gliogen 250 mg Tablet may not be needed in these patients. Please consult your doctor. Cautious use is advised in patients with severe kidney disease while they are taking Gliogen 250 mg Tablet. Liver Gliogen 250 mg Tablet should be used with caution in patients with severe liver disease. Dose adjustment of Gliogen 250 mg Tablet may be needed. Please consult your doctor. Limited information is available on the use of Gliogen 250 mg Tablet in these patients. No dose adjustment is recommended in patients with mild to moderate liver disease. What If You Miss A Dose Of Gliogen Tablet? If you miss a dose of Gliogen 250 mg Tablet, take it as soon as possible. However, if it is almost time for your next dose, skip the missed dose and go back to your regular schedule. Do not double the dose. Dulane 20 Capsule DR is used in the treatment of depression, anxiety disorder, diabetic nerve pain, fibromyalgia, neuropathic pain and stress urinary incontinence. Take this medicine in the dose and duration as advised by your doctor. Swallow it as a whole. Do not chew, crush or break it. Dulane 20 Capsule DR may be taken with or without food, but it is better to take it at a fixed time. Dulane 20 Capsule DR works by increasing the levels of chemical messengers (serotonin and noradrenaline), natural substances in the brain that help maintain mental balance and stop the movement of pain signals in the brain. 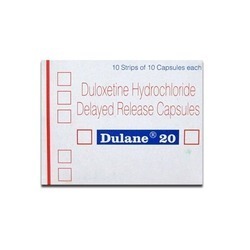 Alcohol Caution Dulane 20 Capsule DR may cause excessive drowsiness and calmness with alcohol. Pregnancy weighs risks vs benefits Dulane 20 Capsule DR may be unsafe to use during pregnancy. Lactation Caution Dulane 20 Capsule DR is probably unsafe to use during lactation. Limited human data suggest that the drug could represent a significant risk to the baby. Driving Dulane 20 Capsule DR may make you feel dizzy, sleepy, tired, or decrease alertness. If this happens, do not drive. Kidney Dulane 20 Capsule DR should be used with caution in patients with severe kidney disease. Dose adjustment of Dulane 20 Capsule DR may be needed. Please consult your doctor. Dose adjustment is not recommended in patients with mild and moderate kidney disease. Liver Unsafe Dulane 20 Capsule DR is probably unsafe to use in patients with liver disease and should be avoided. Please consult your doctor. What If You Miss A Dose Of Dulane Capsule Dr? If you miss a dose of Dulane 20 Capsule DR, take it as soon as possible. However, if it is almost time for your next dose, skip the missed dose and go back to your regular schedule. Do not double the dose. Mox Kid 250 mg Tablet is used in the treatment of bacterial infections. Take this medicine in the dose and duration as advised by your doctor. Swallow it as a whole. Do not chew, crush or break it. Mox Kid 250 mg Tablet may be taken with or without food, but it is better to take it at a fixed time. Mox Kid 250 mg Tablet is an antibiotic. It kills bacteria by preventing them from forming the bacterial protective covering (cell wall) which is needed for them to survive. Alcohol Safe It is generally safe to consume alcohol with Mox Kid 250 mg Tablet. Pregnancy Probably Safe Mox Kid 250 mg Tablet is probably safe to use during pregnancy. Animal studies have shown low or no adverse effect on the fetus, however, there are limited human studies. Please consult your doctor. Lactation Safe Mox Kid 250 mg Tablet is safe to use during lactation. Human studies have shown that either the drug does not pass into the breastmilk in a significant amount or is not expected to cause toxicity to the baby. Driving Do not drive unless you are feeling well. Mox Kid 250 mg Tablet can have side effects and the symptoms (such as allergic reactions, dizziness, and convulsions) may make you unfit to drive. Kidney Caution Mox Kid 250 mg Tablet should be used with caution in patients with kidney disease. Dose adjustment of Mox Kid 250 mg Tablet may be needed. Please consult your doctor. 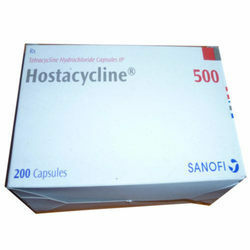 Natclovir 250 Capsule is used in the treatment of eye infections by Herpes simplex virus. Take this medicine in the dose and duration as advised by your doctor. Swallow it as a whole. Do not chew, crush or break it. Natclovir 250 Capsule is to be taken with food. 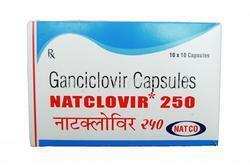 Natclovir 250 Capsule is an antiviral medication. It prevents the multiplication of the virus in human cells. This stops the virus from producing new viruses and clears up your infection. Pregnancy weighs risks vs benefits Natclovir 250 Capsule may be unsafe to use during pregnancy. Lactation Caution Natclovir 250 Capsule is probably unsafe to use during lactation. Limited human data suggest that the drug could represent a significant risk to the baby.DrivingDo does not drive unless you are feeling well. You may feel sleepy, dizzy, confused or shaky, or you may lose your balance or have fits while using Natclovir 250 Capsule. Kidney Caution Natclovir 250 Capsule should be used with caution in patients with kidney disease. Dose adjustment of Natclovir 250 Capsule may be needed. Please consult your doctor. Regular monitoring of kidney function test and some blood tests may be advised while you are taking this medicine. Liver Caution Natclovir 250 Capsule should be used with caution in patients with liver disease. Dose adjustment of Natclovir 250 Capsule may be needed. Please consult your doctor. What If You Miss A Dose Of Natclovir Capsule? If you miss a dose of Natclovir 250 Capsule, take it as soon as possible. However, if it is almost time for your next dose, skip the missed dose and go back to your regular schedule. Do not double the dose. 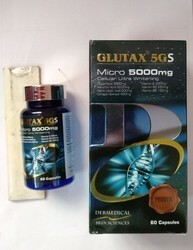 Our shopper can avail from us an exclusive series of Glutax 5GS Capsules.